We are just a week and a day away from Elvis Costello in our store! He will be here Tuesday, October 20th in conversation with Evan Smith. 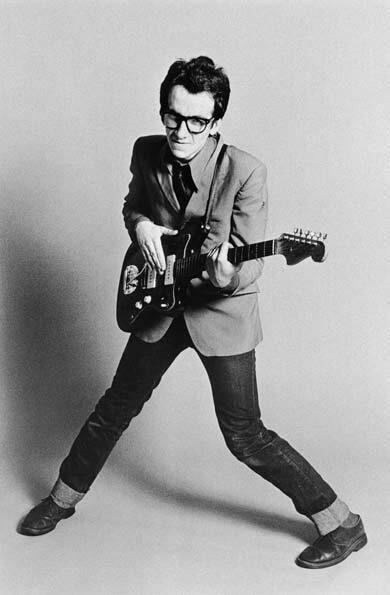 Born Declan Patrick MacManus, Elvis Costello was raised in London and Liverpool, the grandson of a trumpet player on the White Star Line and son of a jazz musician who became a successful radio dance-band vocalist. Costello went into the family business and before he was twenty-four took the popular music world by storm. Costello is a Grammy award-winning musician whose career spans almost four decades. A prolific singer-songwriter, Costello has released several critically-acclaimed albums, and in 2003 was inducted into the Rock and Roll Hall of Fame. Unfaithful Music & Disappearing Ink is a memoir, written entirely by Costello himself, that offers his unique view of his unlikely and sometimes comical rise to international success, with diversions through the previously undocumented emotional foundations of some of his best known songs and the hits of tomorrow. The book contains many stories and observations about his renowned co-writers and co-conspirators, though Costello also pauses along the way for considerations on the less appealing side of infamy. Only 8 days until Elvis is in our store! Tickets for the event are available in the store, online and over the phone! Check out this live video from 1978 of “Watching the Detectives.” It was his first single that credited his backing band, The Attractions, and gave him his first UK hit single. Previous Post Viva la Webolution!